Experts and pundits felt this was India's best chance of winning a Test series in England. 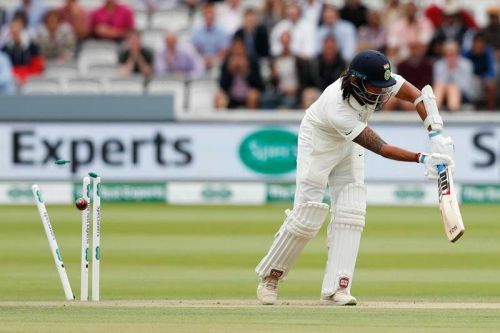 The England team wasn't in the best of form and was looking extremely vulnerable while the Indian team looked settled and had a squad that had the potential to win in any conditions. An all-round bowling-attack and an experienced batting line-up was the perfect combination for a winning team. But unfortunately, India couldn't capitalize on the situation and lost the series 4-1. The Indian team should consider this an opportunity lost as they have missed a golden chance to beat England in England. While a lot of debatable tactics and strategies were also responsible for this defeat, below par performance of some of the key players was the main reason for the disappointing results. Players who were expected to perform well failed to deliver which made it difficult for the team to dominate. We will look at 4 such players whose poor performances were responsible for India's series defeat against England. Murali Vijay was supposed to play a crucial role in India's chances in the Test series. But, Vijay failed to deliver for the Indian team. The right-handed batsman scored only 26 runs in two Tests and looked helpless against the England seamers. He bagged a pair in the second Test at Lords and was thus dropped from the playing XI in the third Test. 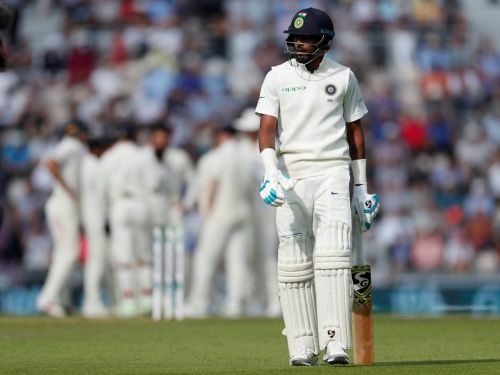 Owing to his poor run, Vijay was eventually left out of the side for the last two Tests with the selectors preferring youngster Prithvi Shaw over him. The lack of solid starts from the Indian openers put extra pressure on the other batsmen which was a major reason for India's poor batting display. This series might prove crucial in Vijay's career as he might struggle to get back in the side.